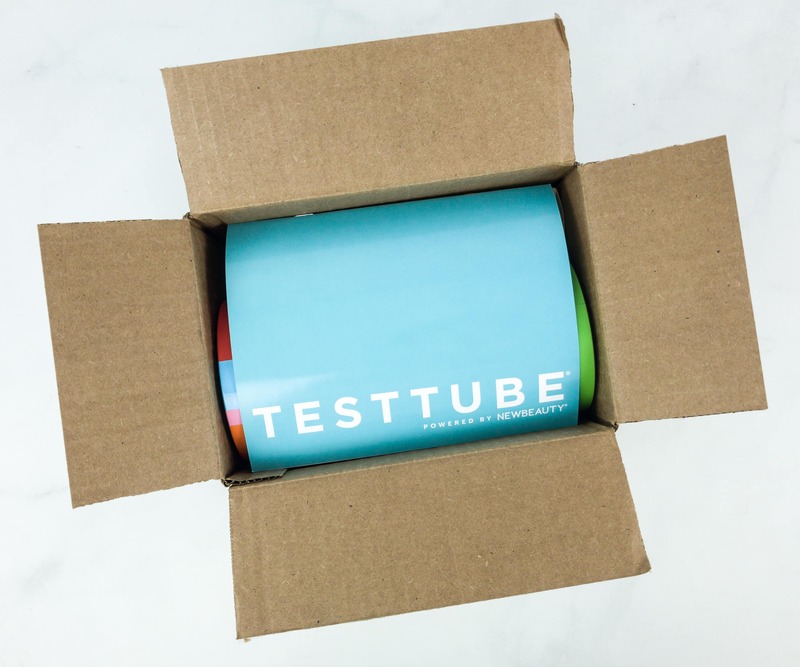 I love the return of the tube and the vibrant mix of colors on it! 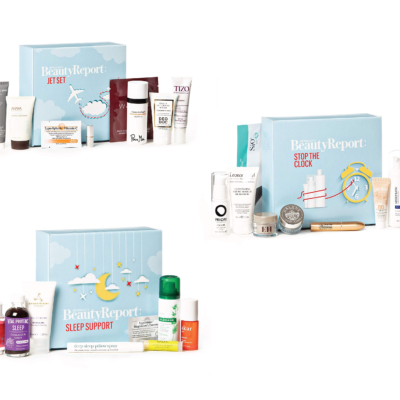 Once I popped the lid, I was welcomed with all the amazing beauty products! There were no fillers or extra packaging but everything came in good condition. 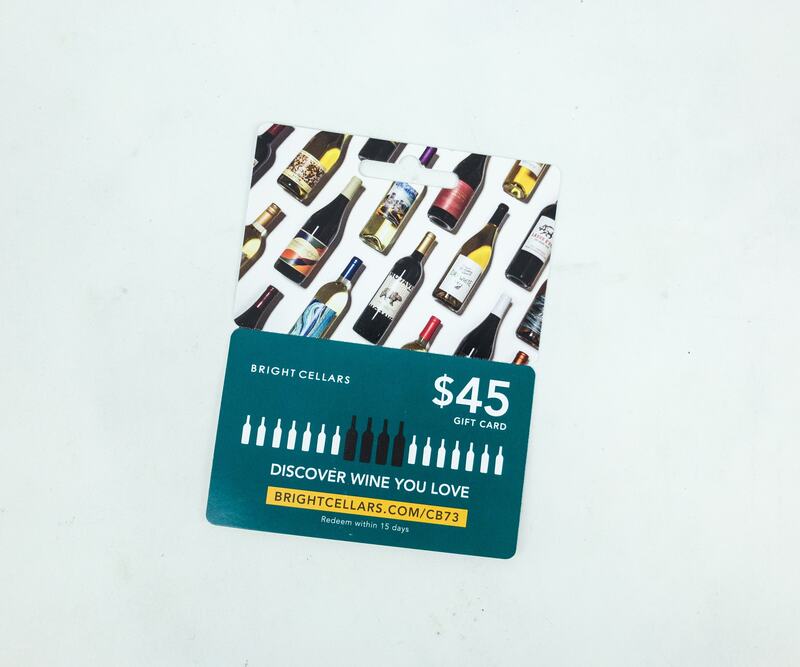 We even got a $45 wine gift card from Bright Cellars! The steps on how to use the gift card are at the back. 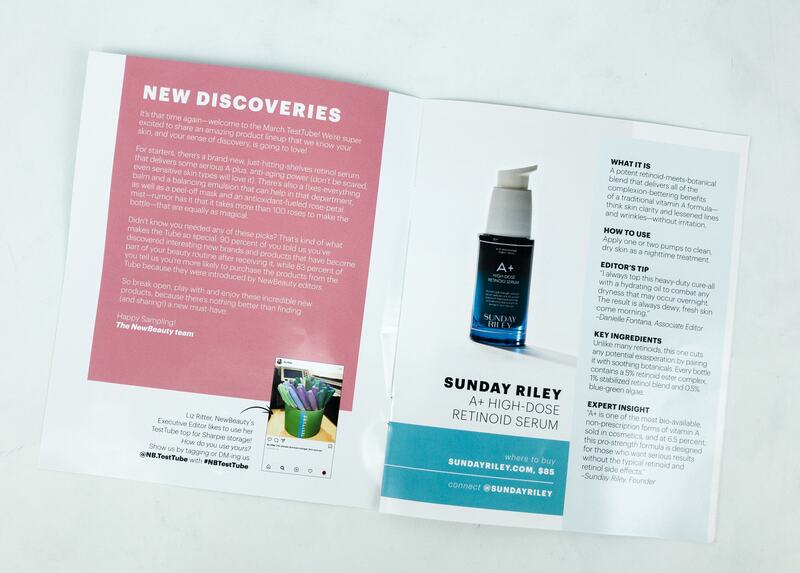 There’s a photo of a Sunday Riley item in front and it made me really excited because I love Sunday Riley! 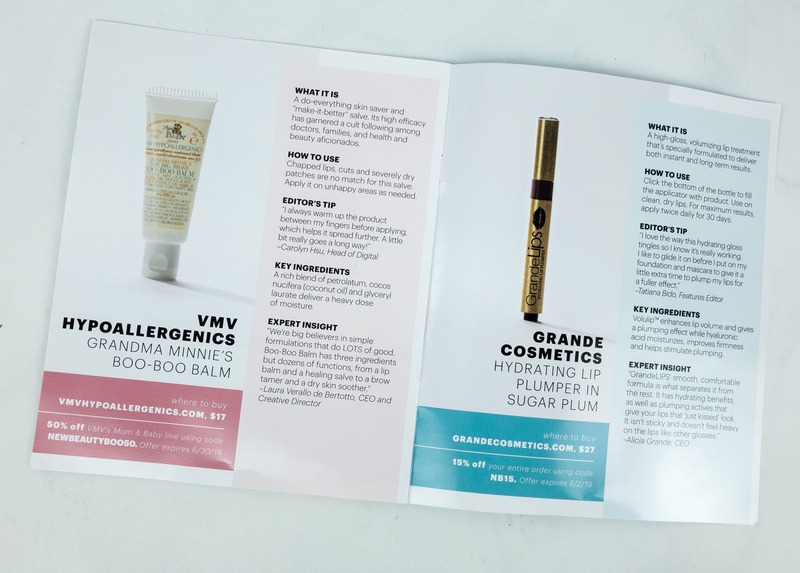 The booklet has several pages of listicles, pointing out trends and hot topics in the world of beauty. The layout is very easy on the eyes. It is not boring to read. 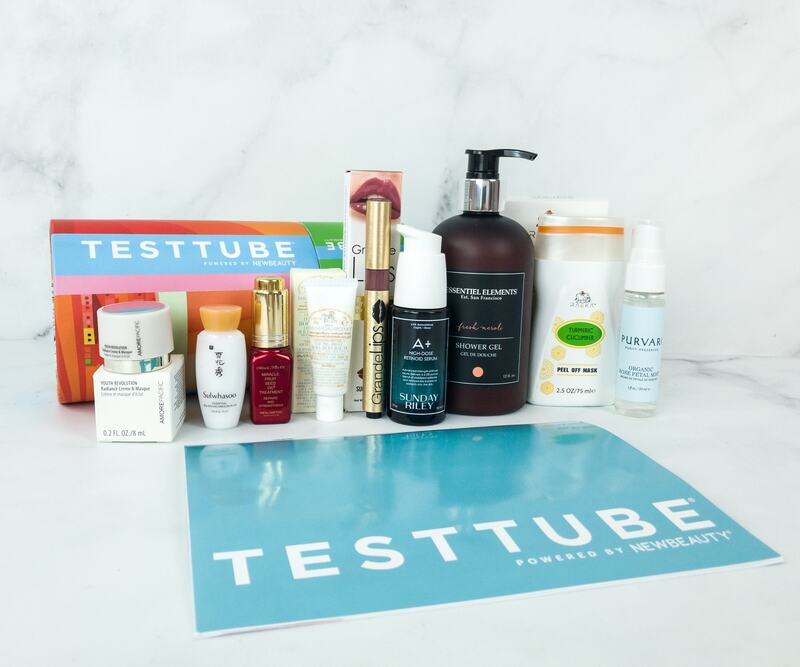 You’ll immediately know what the products are for and how they can help you. 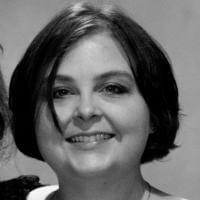 There is also the editor’s tip that can help you maximize each of the item’s benefits. Everything in my box! 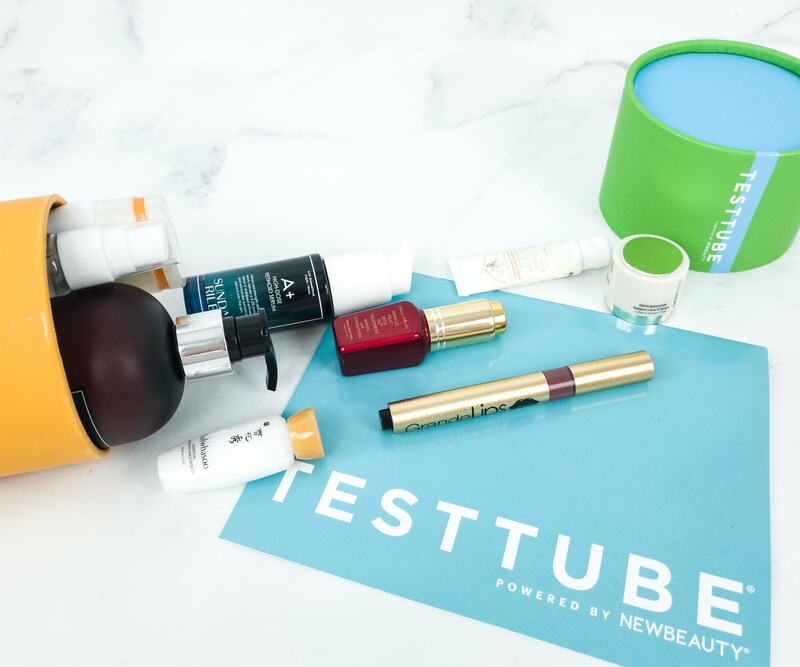 NBTT promises 10 or more full-sized, and deluxe sample-sized products and at least $150 value. 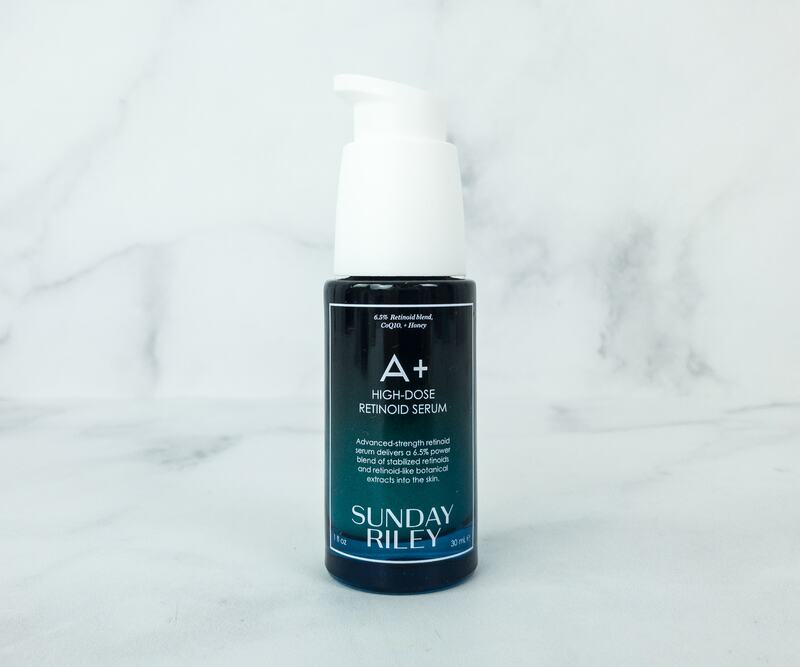 Sunday Riley A+ High-Dose Retinoid Serum ($85) This serum is infused with retinol ester, CoQ10, and Hawaiian white honey that help reduce the appearance of wrinkles and fine lines. 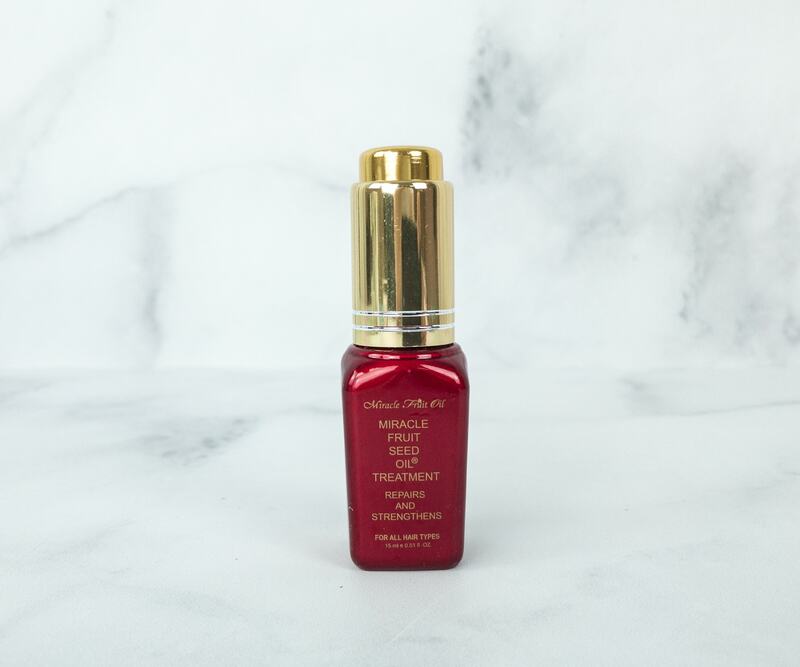 The formula also promotes healthier-looking, balanced complexion without the drawbacks of traditional retinol formulations. 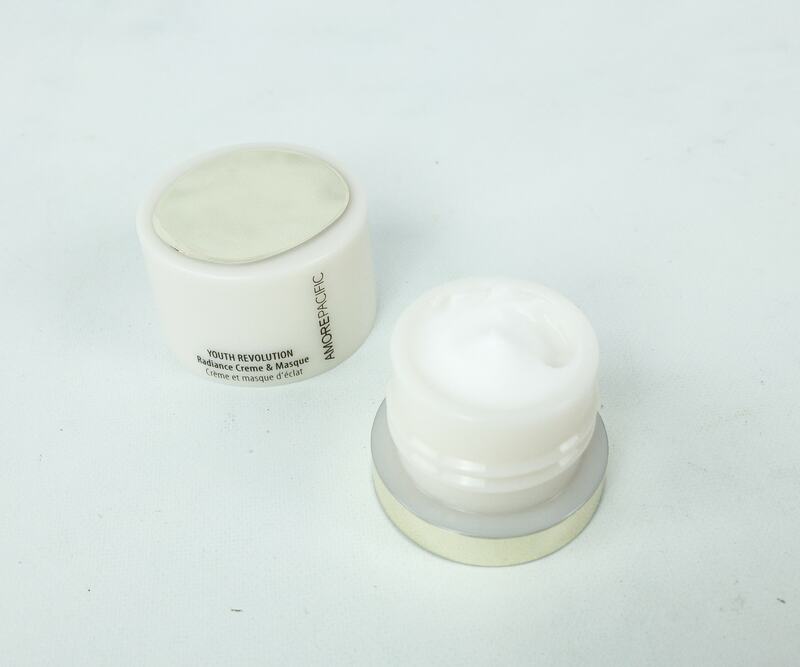 It’s best applied at night and works best with normal, dry, combination, and oily skin types. No sulfates or parabens either! 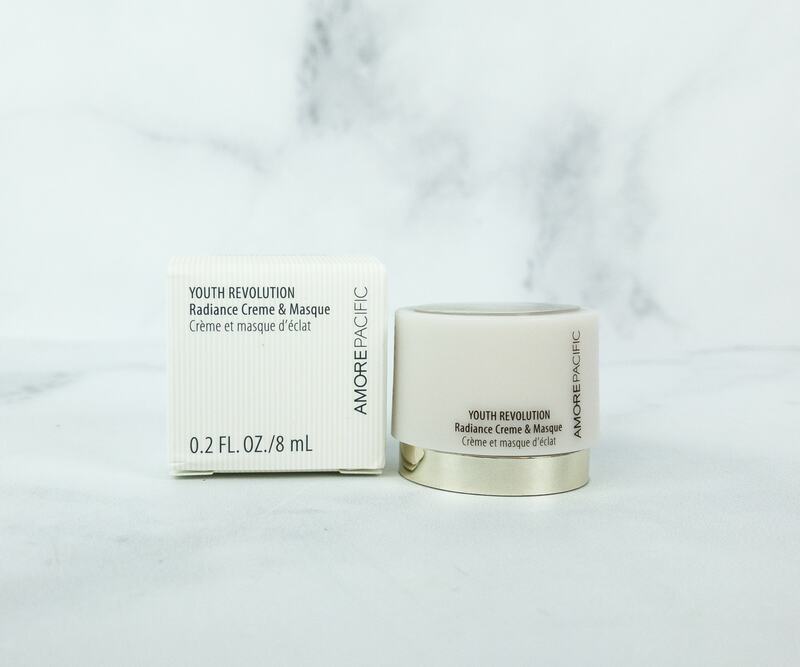 Amore Pacific Youth Revolution Radiance Creme & Masque ($23.52) This thick, indulgent moisturizing cream is made to target the common skin problems such as loss of firmness an elasticity, dark spots, fine lines, and wrinkles. 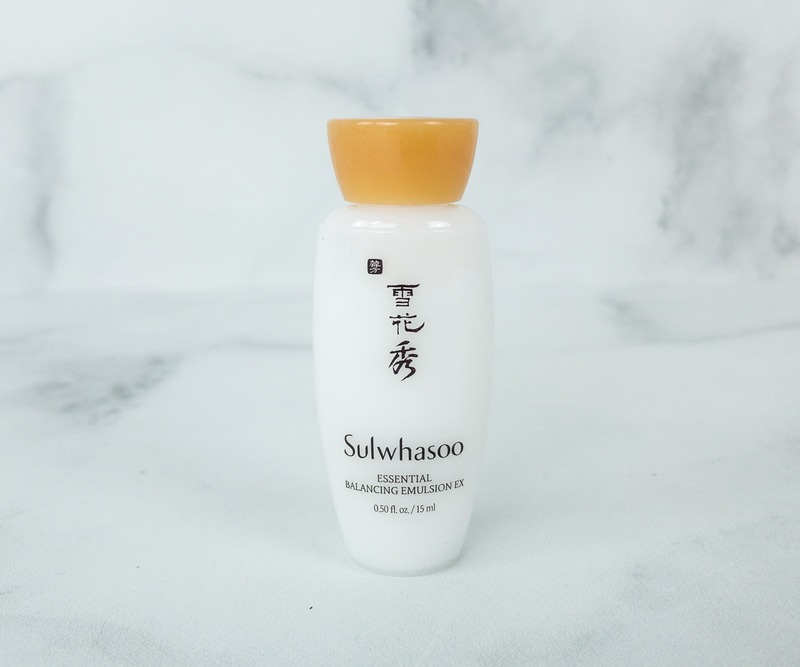 It has an almost whipped texture that’s so hydrating and sinks into the skin easily. My skin started to feel satiny-soft and pearly-smooth after a few times of using it at night. It also smells heavenly! 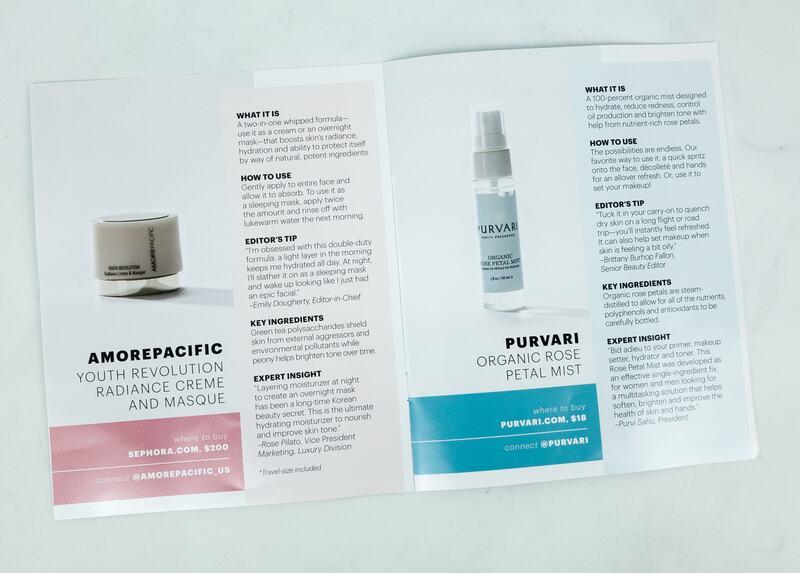 Purvari Organic Rose Petal Mist ($18) This multi-functioning skincare product works effectively as a skin hydrant, spritzer, a primer before putting makeup, and mist after setting up makeup. And on top of it all, it can also be used as a natural non-toxic deodorant. 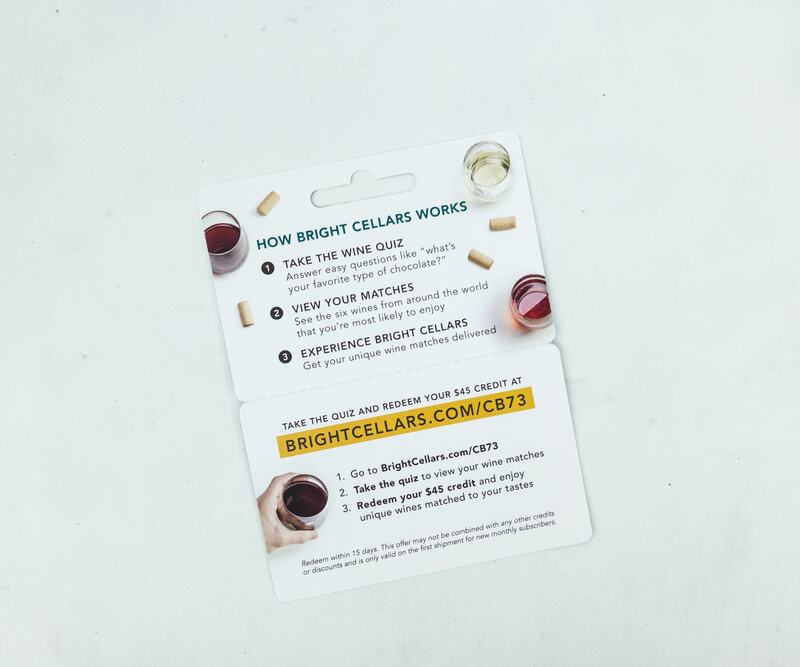 The formula contains vitamin C, geraniol, and quercetin, which are all known for their soothing and anti-inflammatory benefits. 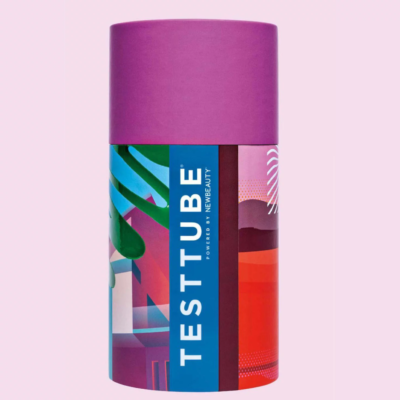 I also like its mild rose fragrance that keeps me feeling refreshed all day long. 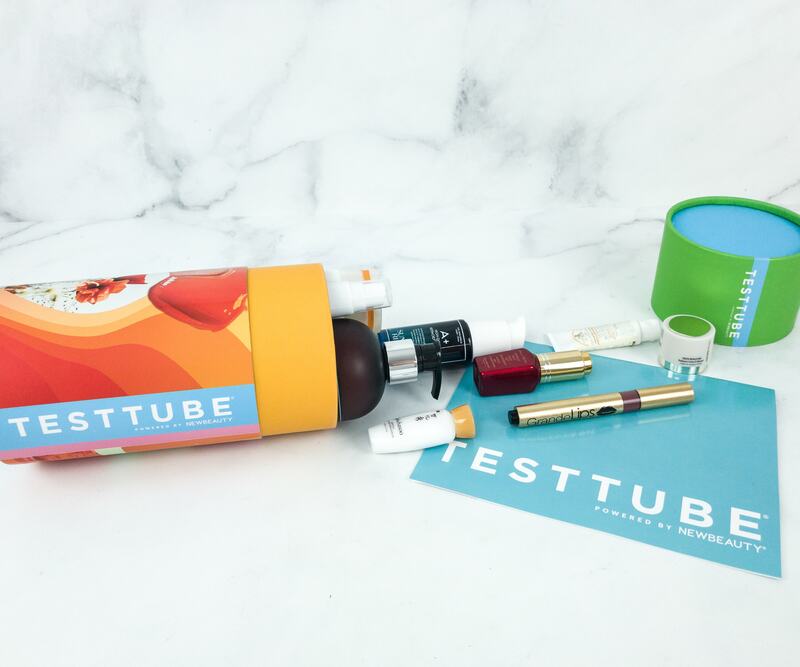 This bottle is handy enough to pack in my back for quick touch-ups when I’m on-the-go! 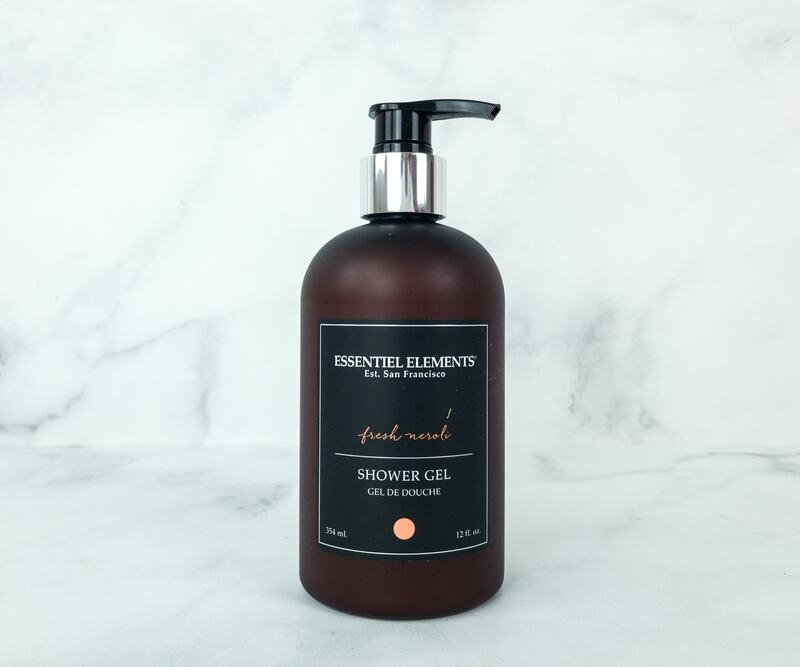 Essentiel Elements Fresh Neroli Shower Gel ($29) If the face needs hydrating, the body does too. This shower gel has the combined powers of pure orange blossom, lemon, and rosewood that ensures skin is silky smooth and clear. 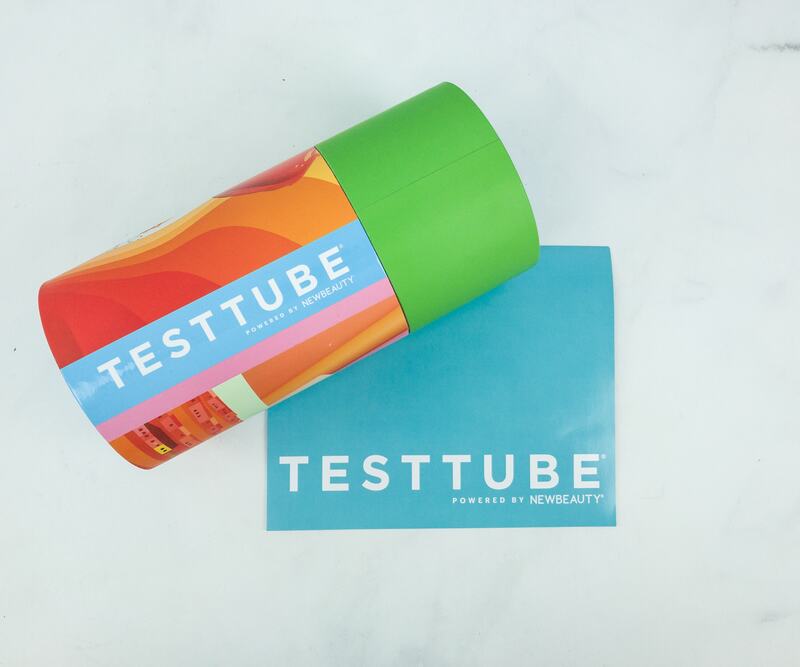 It makes shower time more soothing and refreshing with its citrusy scent. The formula is paraben and phthalate free as well! 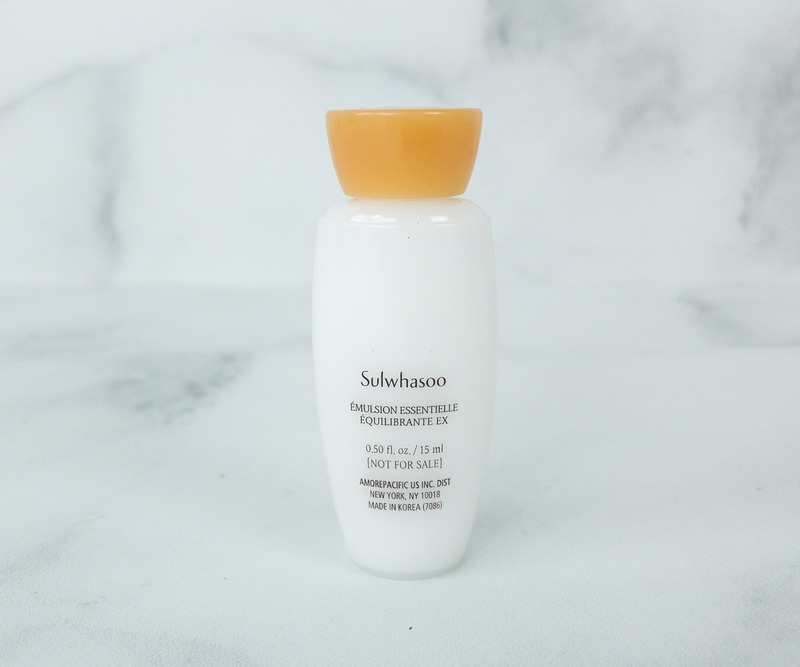 Sulwhasoo Essential Balancing Emulsion Ex ($5.45) This beautiful emulsion is made with Korean medicinal herbs. It works as a non-greasy day time moisturizer, resulting in dewy, youthful skin! A little of this product goes a long way. It’s lightweight, so it gets easily absorbed by my skin. I am also hooked with its earthy, clean scent! 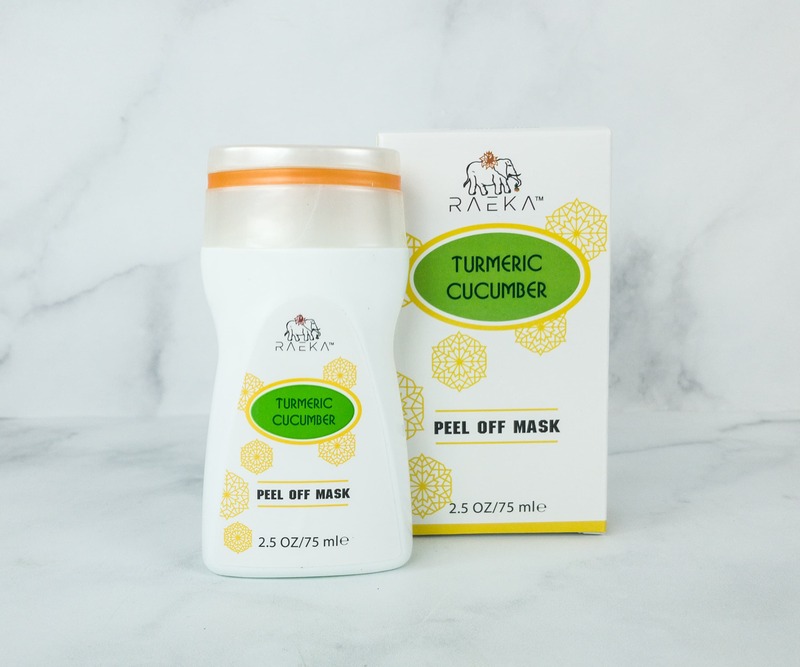 Raeka Turmeric Cucumber Peel Off Mask ($29.50) Best used for dry skin, this turmeric cucumber peel is formulated with vitamins, nutrients, and refreshing cucumber that work together as a toner that rejuvenate the skin and tighten open pores. 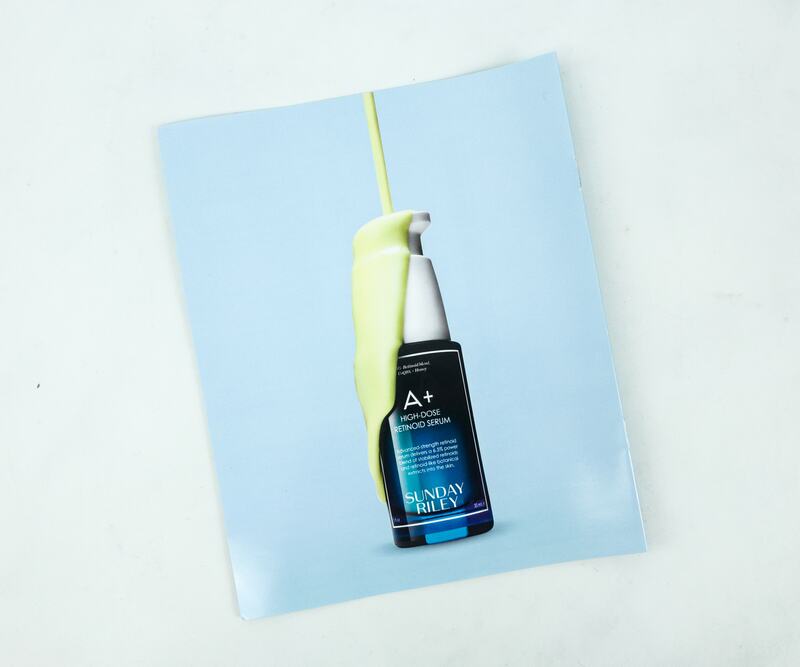 Regular use of this unique peel off mask promises to bring you a smoother complexion. Unlike other peel of masks, this one isn’t irritating or icky at all! 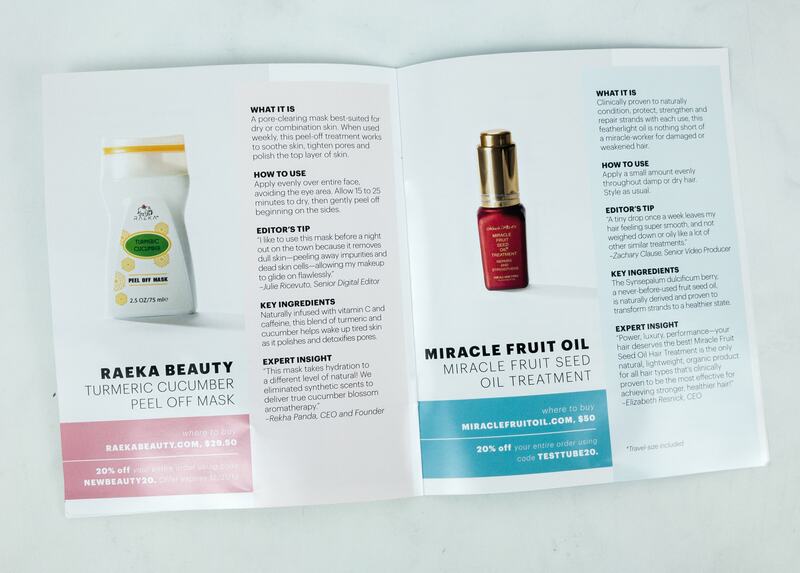 Miracle Fruit Oil Miracle Fruit Seed Oil Treatment ($15) Applying a small amount of this miracle seed oil throughout damp or dry hair promises to prevent hair breakage that usually results in hair loss. Formulated with Synsepalum Dulcificum seed oil, it also makes hair softer, shinier, and more manageable. 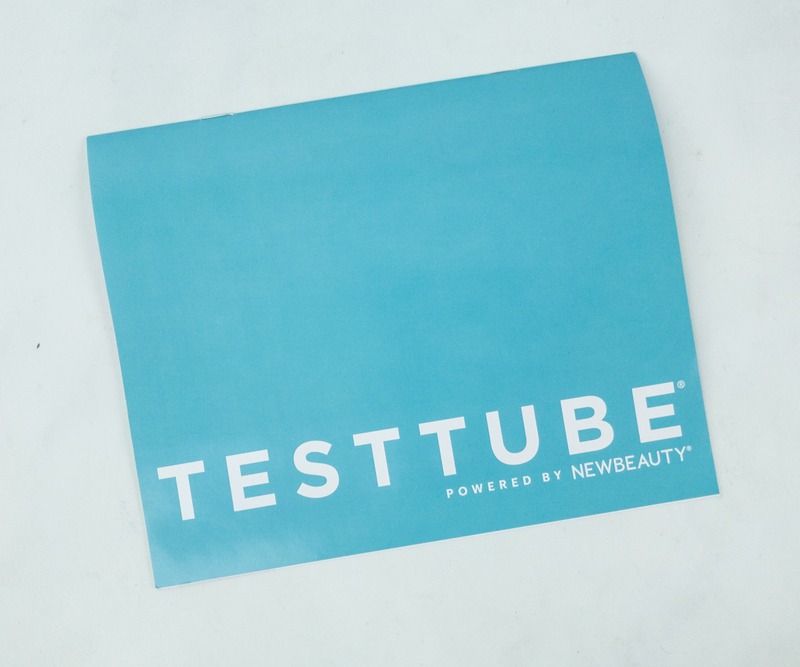 Like any other product, it takes consistent usage to see visible results. So far, what I like about the hair treatment is that it doesn’t weigh my hair down and instead, makes it smooth and bouncy. 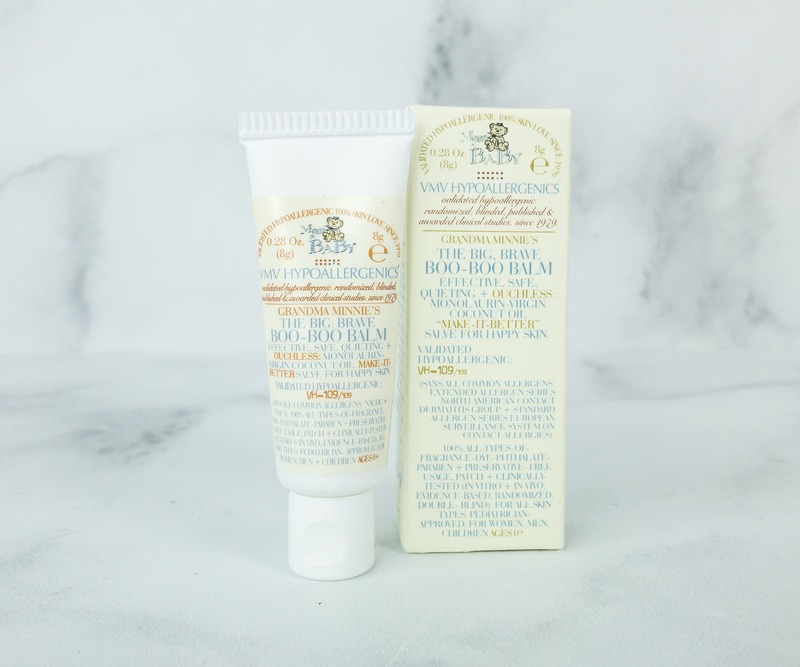 Mom & Baby VMV Hypoallergenics The Big Brave Boo-Boo Balm ($17) This ultimate skin saver is safe for moms and babies too! It amazingly heals various cuts, nicks, scrapes, rashes even minor burns while making skin smooth, soft and moisturized. It also works as a lip balm, hair tamer, and eyebrow shaper. Keeper! 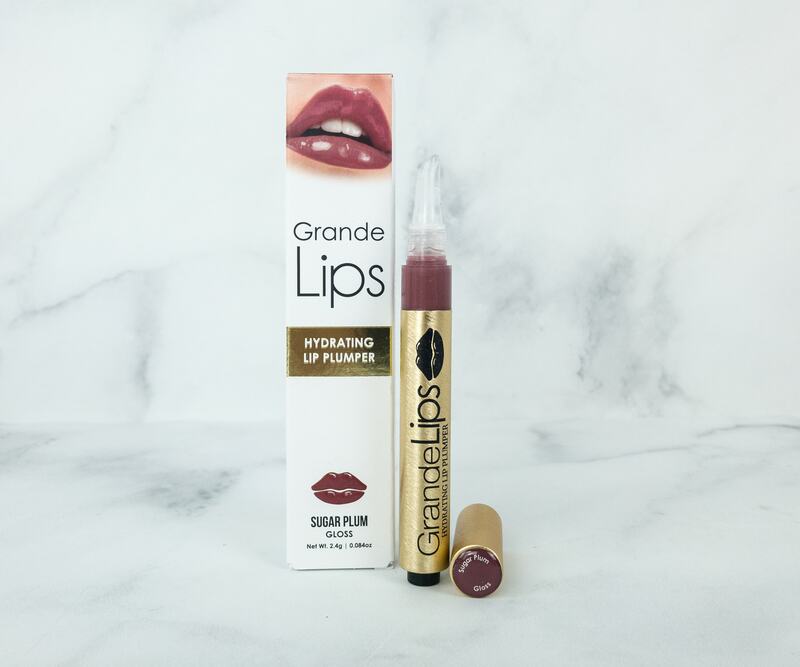 Grande Lips Hydrating Lip Plumper Sugar Plum Gloss ($27) This vanilla flavored lip plumper has a unique cushion applicator that glides and applies effortlessly on the lips. 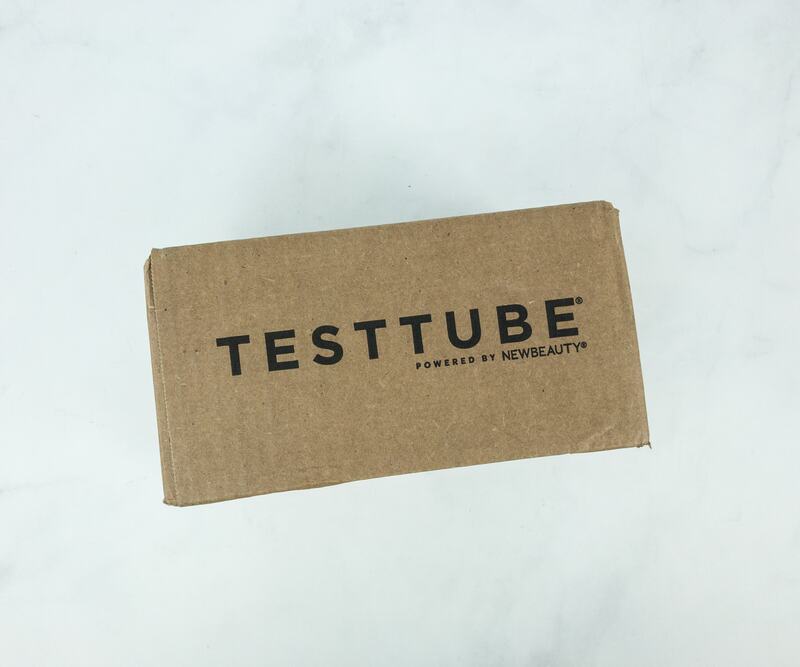 The results are stunning as it makes my lips fuller and beautifully glossed. 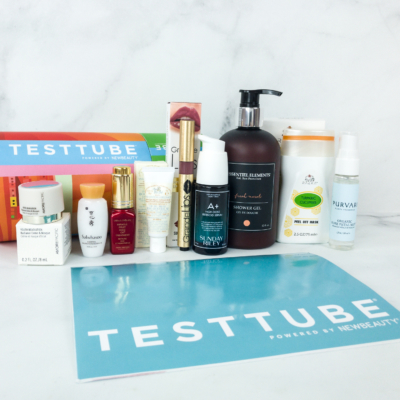 Majority of this box’s contents are moisturizers, which I love. I now have effective hydrating products for my hair, face, and body! 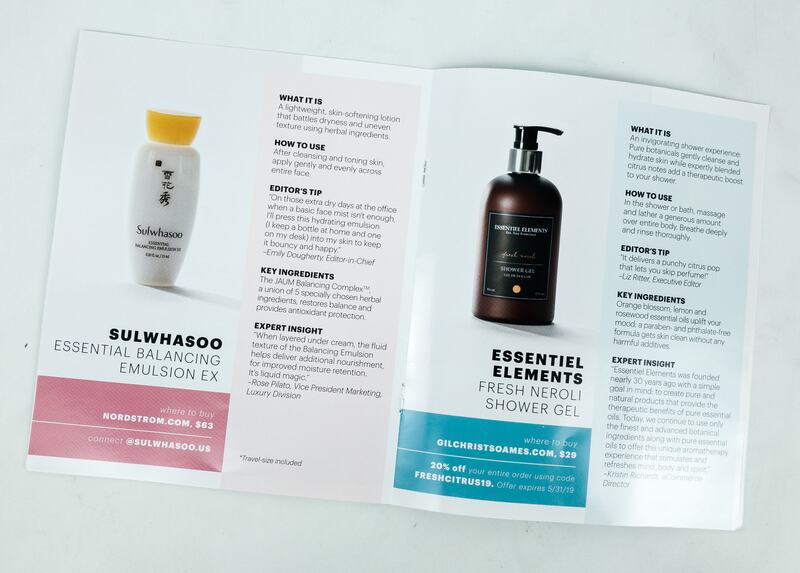 It’s a box of holistic skin and hair care brands and my favorite is definitely the Amore Pacific because of its full, sherbet-like texture that really sinks deep into the skin. Sunday Riley gets the second spot as it also gave me great effects. One of which is lessening the appearance of wrinkles and fine lines. They are all very effective, luxurious, and lovely smelling!